Oh boy this was a hard one. Not because my year was filled with wonderful joyous days, but because I struggled to think of what my best days were. I'm not sure what his says about me as a person or my life right now. I think I could use a few more really good days to be honest. But it is what it is and life negotiating these teenage years has been pretty tricky. But we're all trying hard and I dare to think there maybe a light at the end of the tunnel. I imagine freer lighter days where we have been through our strife together, worked out where our edges are, learned to care for each other and ourselves in the best way we can. Helping steer each other towards a good life and our dreams. 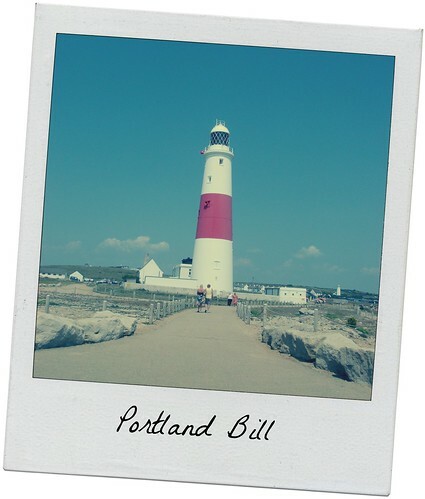 I love this image of Portland Bill. We drove there from our holiday spot in Dorset. I'd say it was a kind of peak day really, rather than the best day. Peak days you remember because there's usually some sort extreme involved. Some kind of challenge or achievement, followed by some kind of reward. This was a very hot day at the beginning of the summer holidays. I'd been looking at Portland Bill on the map for at least several years. It's on the very southern most tip of Dorset. I really wanted to go there and wondered what the drive would be like. It's kind of like going on to an island, you drive across a huge causeway, wind your way up the side of the island and then follow the road down to the southern most tip. I was worried I'd have to drive across some kind of huge bridge or along high coastal roads. Not the kind of driving I want to do right now. Anyway, the guy in the service station told me the drive would be undulating driving across Portland. And I held on to that word all the way over to and across Portland. Undulating, I can do undulating, no problem. I gripped the steering wheel determinedly. Undulating. Mostly. And so eventually we arrived, myself, the teen and dog,(it's so nice when no one is left behind). To the sea, where the waves were gently lapping around the rocky coast. The sun was shining brightly, and we got to see our first real lighthouse. It was so nice to just be there. We explored around the (low) rocky edges of the coast, ate ice-creams and melted slightly in the heat. Portland is such a unusual place with it's huge rocky boulders and quarries of Portland stone. Like all little 'islands' it feels very different to the mainland, we imagined what it would be like to live at the houses by the light house and choose which of the beach huts we would have nearby to come and gaze at the ocean. The day felt light and summery and free. It sounds like it was a wonderful day. I love lighthouses! I hope the rest of this year is filled with many more "best days," and that they make up for what sounds like has been a difficult year. …. "the day felt light and summery and free" ….. Wish you can use more times these 3 adjectives together!!! Happy Thursday Heather. Gorgeous sunny shot and it sounds like the perfect day. I hope things are smoother for you during 2015. What a lovely post Heather. And it does sound like a special day. I know you and your boy haven't always had it easy but it's good that you still get to do stuff together, all too soon he'll be off doing his own thing, as seems to have happened with all of my four now, even the one who still lives here.